Israeli occupation forces (IOF) rounded up 33 Palestinians in various West Bank governorates on Wednesday night and Thursday morning. Local sources said that the IOF arrested 11 citizens in Qalqilia province’s towns of Azzun and Hajja, with six of them from one family. They said that the soldiers arrested the father, four brothers, and cousin of the martyr Bashar Masalha from Azzun village. Six citizens were rounded up in the Jenin villages of Qabatiya, Yabad, and Erqa while six others were detained in al-Khalil city and nearby towns. 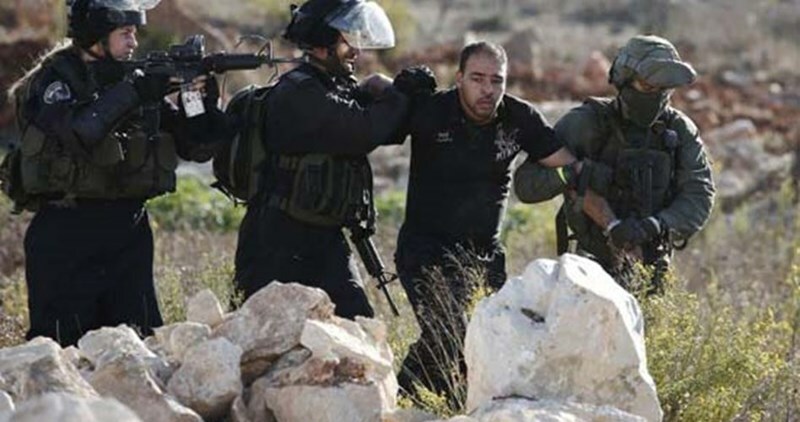 In Nablus, the IOF soldiers arrested five young men including two brothers. The IOF detained two Palestinians in Jericho and three from Bethlehem. The Palestinian Prisoners Society (PPS) has reported that Israeli soldiers have kidnapped, late at night and on Thursday morning, 33 Palestinians in different parts of the occupied West Bank, including Jerusalem, and that the arrests were mainly focused in the West Bank district of Qalqilia, Nablus and Hebron. Among the kidnapped are a father and his four sons. In Qalqilia, in the northern part of the West Bank, the soldiers stormed the towns of Azzoun, and Hajja, and kidnapped eleven Palestinians, identified as Ward Adwan, 22, Sa’id Farouq Abu Haniyya, 22, Yahya Mohammad Abu Haniyya, 20, Abdul-Hafith Ali Adwan, 22, Mustafa Sufian ar-Reyashi, 19, all from Azzoun, in addition to Mohammad Abdul-Qader Masalha, 55, and his sons, Tha’er, Ala, Baha’ and Rabea, (24-30 years of age,) and Fahd Wael Masalha, 23. In Jenin district, in the northern part of the West Bank, the soldiers kidnapped Ahmad Bilal Nazzal, Mohammad Jamal Hanaisha, Mohammad Maher ‘Alawna, Mohammad Omar Saba’na, and Yazan Eyad Hanaisha, all from Qabatia town, in addition to Ekrema Ali Yahya, from al-‘Arqa village, and Shaher Mahmoud Hamarsha from Ya’bad town. In Nablus districts, also in the northern part of the West Bank, the soldiers kidnapped ‘Aqeel Issam Faraj and his brother Ahmad, in addition to ‘Aahed Husam Faraj and Assem Fathi Faraj, all from Iraq-Burin town, and Omar Salah al-Jawhari, from Nablus. In Hebron district, in the southern part of the West Bank, the soldiers kidnapped Mohammad, 30, and his brother, Nasr Abu Hadeed, 23, Fadi Mohammad Shawar, Yacoub Khalil Za’areer, 35, from the Sammoa’ town, in addition to Khaled al-Jondi from Yatta town. In Bethlehem, the soldiers kidnapped Yousef Naim Ghneim, from the al-Khader town, while Mohammad Omar Musleh, 17, was kidnapped in the al-Jalazoun refugee camp, north of Ramallah, and Ashraf al-Karaki, 17, from ar-Ram town, northeast of Jerusalem. Two Palestinians, identified as Ibrahim Sa’id Shawwa, 24, and Ibrahim Ka’abna, were kidnapped in Jericho district. 25 of the detained workers were detained in the northern part of the country, 15 in the coastal area and the rest were taken prisoner in the Negev. 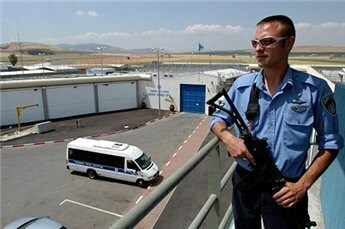 The police have detained and imprisoned more than 250 Palestinian workers in the past few days, the PPS said. Ex-prisoner and head of Palestinian Prisoners Center for Studies (PPCS), Osama Shahin, confirmed that Palestinian prisoners in Israeli jails face quite harsh conditions which led them to escalate their protest measures against the Israeli prison authority. Shahin said that there is an overload of prisoners in the jails, especially over the past few months. For example, Ofer Prison has 144 prisoners in each section, although the maximum capacity of each section is 120 prisoners. Shahin pointed out that since October 2015 the number of minor prisoners has significantly increased, especially after the wide arrest campaigns that targeted Palestinian youngsters. Moreover, there are almost 700 administrative prisoners in the Israeli prisons. Concerning the daily treatment, Shahin affirmed that a number of prisoners face deteriorating medical conditions, that are met with negligence from the Israel prison authority. In addition, some Palestinian prisoners are held captive in solitary confinement without the basic human rights. 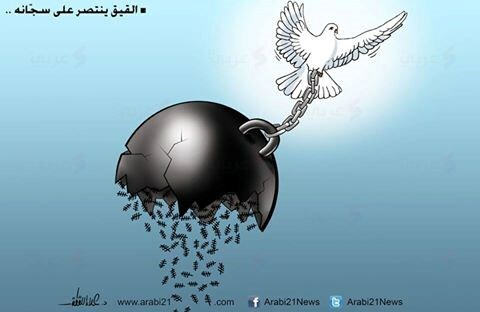 This negligence and deprivation have led the Palestinian prisoners to escalate their protest, starting on 6 March. The first step is refusing the meals provided to them, and if the Israeli occupation authorities disregard the prisoners’ demands until 17 April, the prisoners will take unexpected steps. The Palestinian prisoners’ message, as Shahin stated, is to the Palestinians in general to support the prisoners’ issues, especially the prisoners on hunger strike. They also demand the Palestinian Authority in particular to take official measures to support and protect the Palestinian prisoners. Three female Palestinian minors held in the Israeli HaSharon jail launched cries for help over the harsh torture they have been subjected to during the detention and investigation phases. A lawyer from the Palestinian Prisoners` Society (PPS) who popped in the HaSharon jail quoted 14-year-old Rama Jaabis and 16-year-old Malak Salman, both from Occupied Jerusalem, as stating that the occupation soldiers forced them to lie on the floor before they were handcuffed, insulted, and aggressively beaten. The detainees were also prevented from being accompanied by their parents during the investigation. 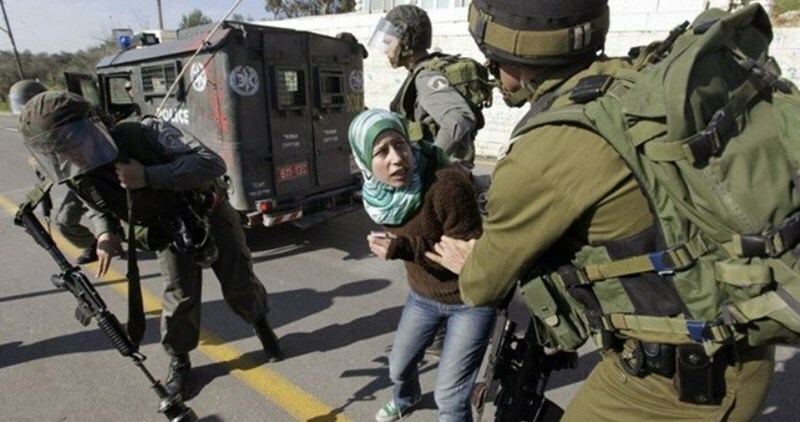 16-year-old Sajida Hassan, from Nablus, was also subjected to the same mistreatment. PPS said by law the child should be questioned in the presence of a parent or legal counsel in order to prevent forced confessions by the investigators. The three minors have been held in Israeli detention since February. 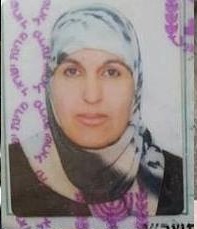 The Israeli Ofer military court on Wednesday sentenced the Palestinian lady Mona Hussein Qa’dan to three years and a half in jail. Mona’s brother, Mu’awiya, said the court rule was issued despite an earlier appeal filed to the court. The Israeli Salem military court had sentenced the detainee to 70 months in jail and a fine of $7,500 before the sentence was reduced to 41 months. Mona was arrested by the Israeli occupation soldiers at her own home in Jenin’s southern town of Arraba on November 13, 2012. Mona, the fiancée of the life-sentenced Palestinian detainee Ibrahim Ighbariya, has been held in Israeli jails for a total of five years. 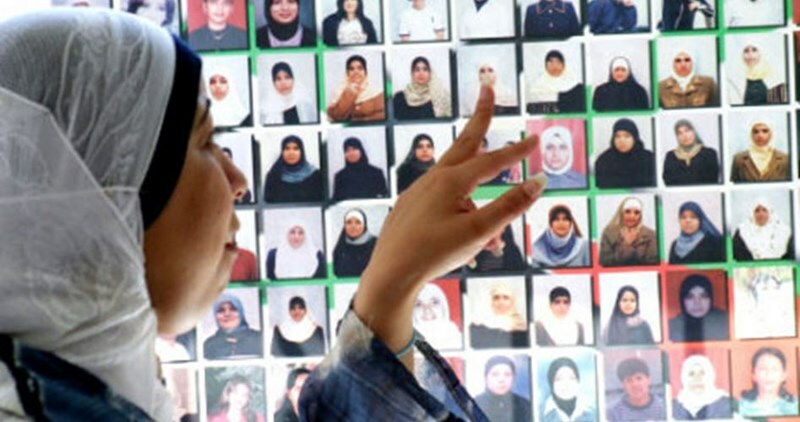 65 female Palestinian prisoners, including 19 minors, have been incarcerated in Israeli lock-ups. 12-year-old Dima al-Wawi, sentenced to a four-month prison-term and a two-thousand-dollar bail, is the youngest Palestinian female detainee. She is currently serving her sentence in the HaSharon lock-up. A Palestinian detainee from Nablus city suffered recently a serious head injury during a violent interrogation session in the Israeli detention center of Petah Tikva. A Shin Bet interrogator physically assaulted prisoner Adnan Ayad and slammed his head against a wall in an attempt to force him to make confessions. Ayad needed seven stitches to close the open wound in his head, according to the Palestinian commission of detainees and ex-detainees on Wednesday. The Shin Bet extended the detention of Ayad for eight days for further interrogation in Petah Tikva center. 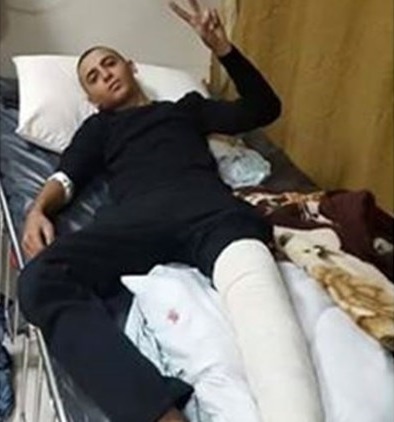 A Palestinian prisoner, Mohammad Uwaidat, 19 from Qabatya near Jenin, held in Howara detention center, has been suffering from deteriorating health condition because of shrapnel in his leg. Lawyer of Palestinian Prisoners Society revealed on Wednesday that captive Uwaidat, who was arrested on March 02, complained of bad smell coming out of his right leg in which he was shot by Israeli gunfire prior to his arrest. The detainees’ leg is about to rot due to Israeli procrastination in providing him with treatment, the lawyer pointed out. 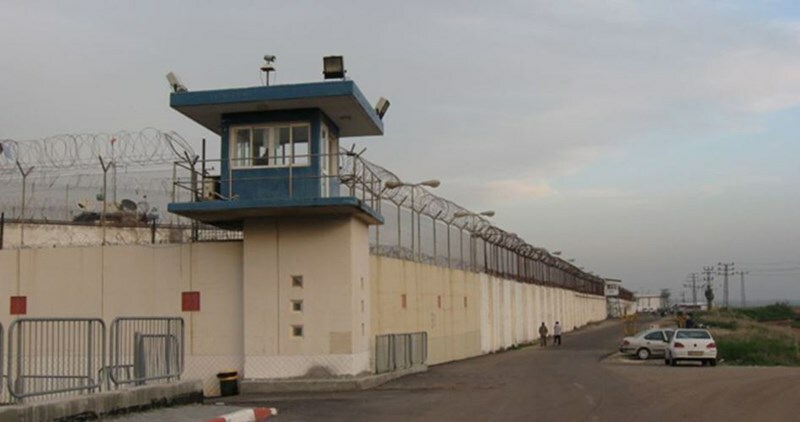 Prisoners of Howara, about 28 captives, informed the lawyer of their intention to start a hunger strike demanding treatment for the injured detainee Uwaidat and transferring him to any of the other jails of better conditions since Howara is considered as one of the Israeli worst detention centers. Israeli Occupation Forces (IOF) arrested Wednesday night a Palestinian youth, Sahban al-Titi, from al-Thaheriya village in al-Khalil, after charging him with an alleged hit-and-run attack against an Israeli settler at the entrance of al-Fuwar refugee camp in the city on October 20, 2015. Israeli army radio revealed that al-Titi was held captive at the Palestinian Authority (PA) police and that he was released a few days ago. Titi had turned himself in to the PA apparatuses in Thaheriya village and affirmed, at the time, that he ran over the settler accidentally. However, he was arrested for three months in PA's jails. 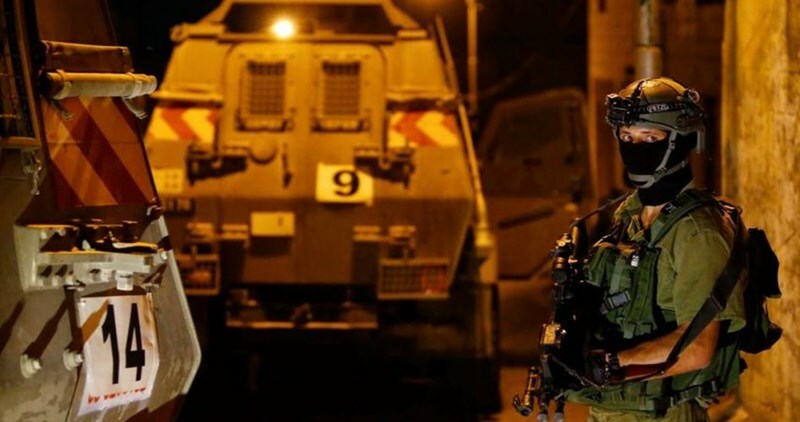 IOF carries out overnight raid, arrest campaign in W.B. The Israeli Occupation Forces (IOF) launched at dawn Thursday a large-scale raid and arrest campaign throughout the West Bank. In Nablus, Israeli forces arrested a Palestinian young man after breaking into his house. Several raids into a number of houses in Iraq Burin town south of the city were also reported. Two young men were arrested during the raids. In Qalqilia, IOF brutally stormed al-Hoja town and broke into the house of Bashar Musalha who was shot and killed by Israeli policemen for allegedly carrying out anti-occupation attack in Jaffa two days ago. His father, four brothers, and cousin were arrested during the violent raid while a number of locals were summoned for investigation, the PIC reporter said. Meanwhile, Israeli bulldozers closed all entrances to the town which led to the outbreak of violent clashes amid heavy fire of teargas bombs. Nearly 13 citizens suffered effects of teargas inhalation including children and elderly persons. In Salfit, Israeli forces stormed al-Zawiya town and carried out a search campaign into several local homes including the house of Abdul Rahman Radad who allegedly carried out an anti-occupation attack in Petah Tikva two days ago. The IOF soldiers threatened to demolish the house of the Radad family, the PIC reporter quoted locals as saying. In Jenin, two youths were arrested after Israeli forces stormed different neighborhoods in Qabatia and Yabad towns. Several houses were also stormed during the raid, while a number of checkpoints were erected. In al-Khalil, Israeli forces detained two brothers, who had earlier served time in Israeli jails, after breaking into their family house south of the city. Israeli Occupation Forces (IOF) arrested on Tuesday a Palestinian woman, Manal al-Tamimi, 42, from Nabi Saleh town near Ramallah, after allegedly threatening an Israeli officer on Facebook. Israeli police claimed, in a statement, that the captive Tamimi posted threats against an Israeli border guard officer on Facebook, claiming that she had attacked one of Israeli soldiers during clashes in the town last year. The suspected woman was held for interrogation and the police would ask the Israeli military court of Ofer to extend her remand to continue investigation, the Israeli police said. 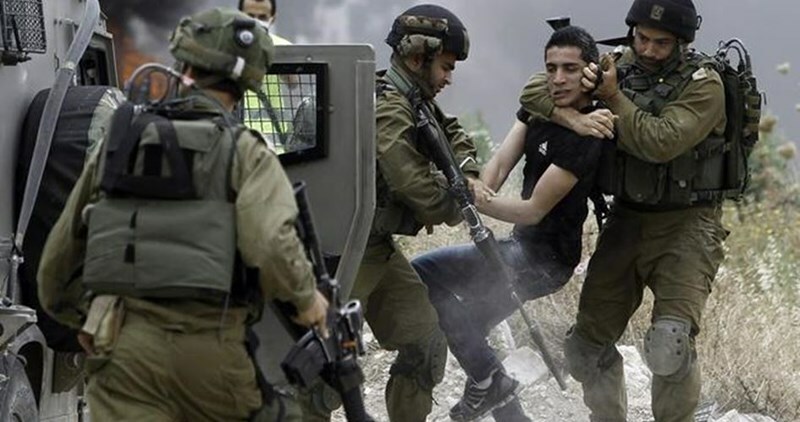 22 Palestinians have been kidnapped by the Israeli occupation forces (IOF) on early Wednesday morning in a mass-abduction sweep launched across the occupied West Bank and Occupied Jerusalem. Local sources said the IOF kidnapped the Palestinian journalist Sami al-Sa’I from his own home in Tulkarem and the citizen Ahmad Nasri Qassem from Jenin. The occupation army claimed responsibility for the abduction of 16 allegedly wanted Palestinians from the occupied West Bank. 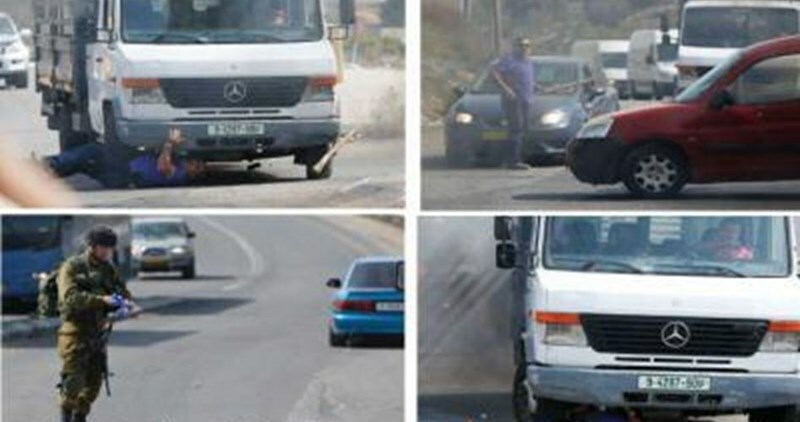 The IOF troops also rolled into Jenin’s eastern town of Barta at the crack of dawn and aggressively attacked Palestinian civilians, before they kidnapped three brothers from their own shop and seized commodities and a carload. Four more Palestinians were kidnapped by the IOF from Bethlehem province, in the southern occupied West Bank. The campaign culminated in the abduction of five Palestinians from Occupied Jerusalem. The IOF further stormed Qatna town, near Occupied Jerusalem, and kidnapped another youth, at the same time as they wreaked havoc on the family homes of the two slain Palestinians Bashar Musalha and Abdul Rahman Redad in the northern West Bank. The IOF reportedly subjected the native inhabitants to exhaustive questioning. Israeli soldiers invaded, on Wednesday at dawn, the al-‘Eesawiyya town in occupied Jerusalem, searched many homes and kidnaped seven Palestinians, including three children, and injured one woman. Lawyer Mohammad Mahmoud said the soldiers kidnapped Maher Hamdan, 16, Basel Mahmoud, and his son Mo’men Mahmoud, 14, Yazan Mohammad Abu Assab, 14, Nadim 'Abda, 20, and Hamza Abu Rmeila, 18. He added that the soldiers held Bassel Mahmoud captive to pressure his son to turn himself in to the army. 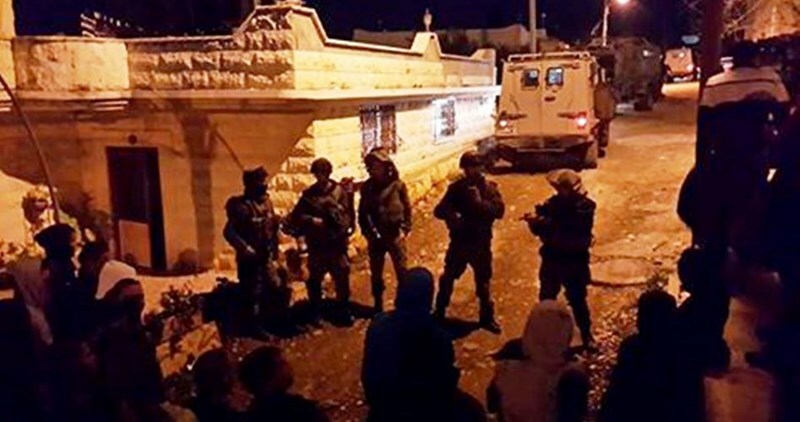 The Wadi Hilweh Information Center in Silwan (Silwanic) said the soldiers used excessive force while searching the invading homes, causing property damage, and interrogated many Palestinians. It added that the soldiers also invaded the home of Mohammad Abu 'Assab, in the al-‘Eesawiyya town, and removed one of the property’s windows, before violently searching the property, causing excessive damage. Abu 'Assab said the soldiers attacked, and injured, his wife, while searching their homes, and repeatedly struck and beat their son, Mo’tasem, 24, with batons while also kicking and punching him, and kidnapped him. He added that the soldiers also assaulted him, and his other son, Yazan, during the invasion. Israeli forces detained at least 18 Palestinians during raids across occupied East Jerusalem and the West Bank, security sources and the Israeli army said. Palestinian security sources told Ma’an that detention raids were reported in East Jerusalem, Ramallah, Bethlehem, Qalqiliya, Nablus and Hebron areas. Amir Khalid Jaffal, Ahmad Radi Erekat, and his brother Mahmoud were detained in Abu Dis east of Jerusalem, the sources said, while in the village of Nabi Saleh west of Ramallah, Manal Tamimi was detained from her family home. 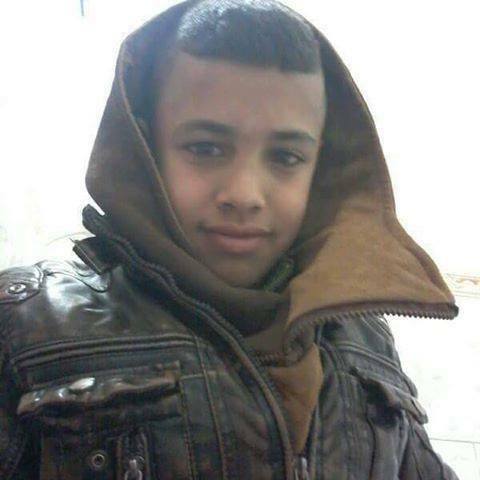 Twelve-year-old Awni Ahmad Taqatqa and 16-year-old Mahmoud Abdullah Taqatqa were detained from the town of Beit Fajjar south of Bethlehem, security sources said. In the northern West Bank, Yousif Sweidan was detained from Azzun in Qalqiliya district and Jasir Fatih Qadus was detained from Burin near Nablus. Israeli forces also raided Beit Ummar north of Hebron and detained Jihad Muqbil, sources added. Tariq Bilalou was detained from the northernmost West Bank city of Jenin, while three others were detained in the town of Yaabad to the south, identified as Muhammad Bassam Hamarsha, Fadil Turkuman and Amjad Hamarsha. Israeli forces on Monday night also detained a Palestinian National Security colonel at the Zaatara military checkpoint south of Nablus, the sources said, identifying him as Adel Bakir. An Israeli army spokesperson confirmed 18 detentions made in total in the occupied West Bank, the majority of whom were detained for "suspected illegal activity." Israeli military forces routinely conduct search and detention raids across the occupied Palestinian territory -- including in Area A which is under full Palestinian jurisdiction. The UN Office for the Coordination of Humanitarian Affairs has documented a weekly after of 87 raids since the start of this year. As of Februart, 7,000 Palestinians were held in Israeli prisons, 406 of them are children, according to prisoners’ rights group Addameer. 18 Palestinian prisoners in Etzion detention center has decided to continue their hunger strike, which they had started with others last Thursday. 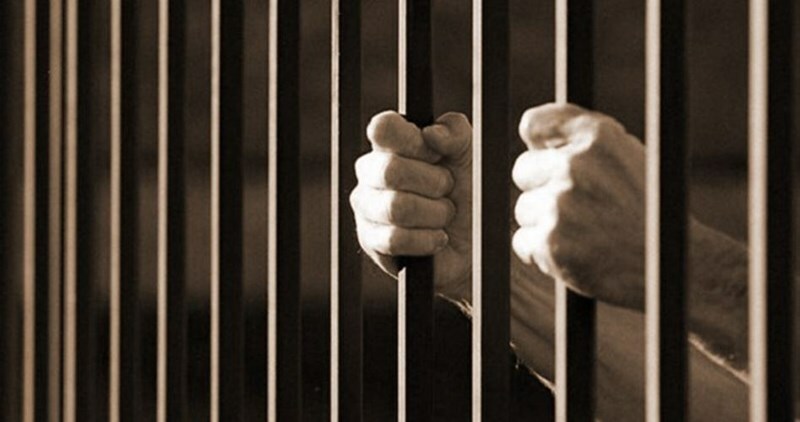 The Palestinian Prisoner Society (PPS) said that 18 out of 60 detainees would continue to return two servings of food until Tuesday, March 8, in protest at their inhumane incarceration conditions. The PPS added that if the Israeli prison authority persisted in ignoring their demands, the prisoners would take further protest steps, noting that some detainees are still in Etzion detention center, although there were court verdicts ordering their transfer to Ofer jail. For its part, the Palestinian commission of detainees and ex-detainees said that several prisoners in Etzion suspended their hunger strike on Monday after it managed to provide them with clothing, blankets, cleaning tools and personal needs. 60 prisoners in the jail started last Thursday a hunger strike to demand the prison administration to improve their detention conditions and provide them with vital needs. Etzion detention center is a transit prison where detainees are held only for several days before their transfer to main jails. It is considered one of the worst detention centers, and is subject to the jurisdiction of the Israeli army. The Israeli occupation forces (IOF) at dawn Tuesday kidnapped a Palestinian youth and ravaged civilian homes in an abrupt sweep launched across the northern West Bank city of Nablus. Local sources said the IOF rolled into Burin town and wreaked havoc on Palestinian civilian homes mostly located in al-Batn neighborhood. The occupation soldiers also seized civilians' mobile phones to prevent them from documenting the assault. The IOF further stormed the adjacent Irak Burin town and rummaged into Palestinian family homes before they kidnapped the university student Nasser Qadus, whose brother, Malek, had been arrested by the IOF just five days earlier. Israeli Occupation Authority (IOA) renewed on Monday the administrative detention order for the sixth time and for four months against captive Ayoub Hussein Awawde, from Doura town in al-Khalil. The captive’s wife told the PIC reporter that the renewal decision was made on the same day he was supposed to be released. His detention order was extended regardless of a previous fundamental decision stipulating for no renewal, she pointed out. 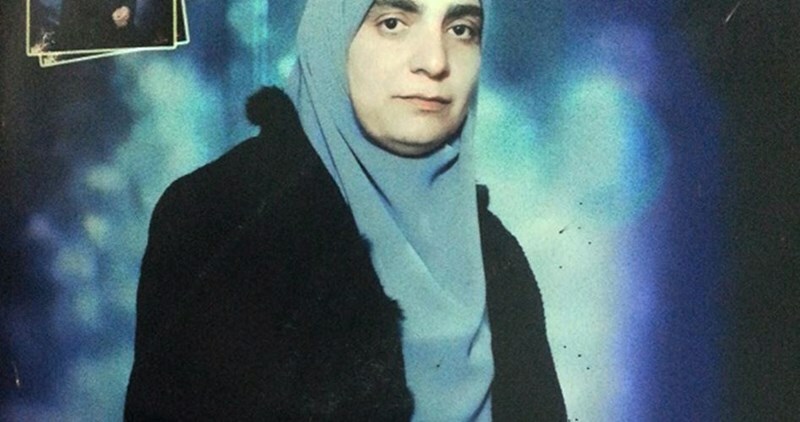 Captive Awawde has two children and has been detained under administrative detention with no trial or charge since June 20, 2014 under the pretext of security reasons.